After what feels a decade-long wait (it was actually closer to six months), Leah Remini’s new documentary series, Leah Remini: Scientology and the Aftermath, finally premiered Monday night on A&E. 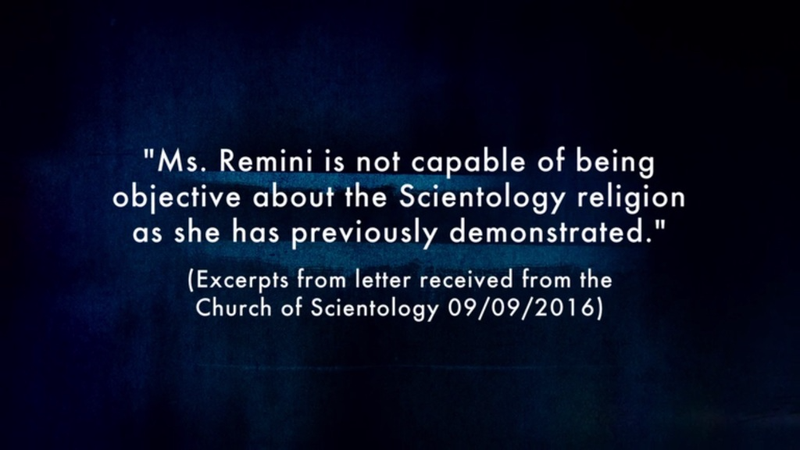 Since leaving the church in 2013, Remini has been one of its most vocal critics, excoriating the church (actually, I’ll call it a cult from here on out) in countless television interviews and releasing a bestselling memoir about her time as a member. This show was primed to be her most high-profile move yet. Based on the premiere, I’m not sure it’s going to accomplish much. The premiere episode of Scientology and the Aftermath, heartbreaking as it is, was meant to expose “the way Scientology rips apart families,” but everything we learned in the first episode, which focused on a former member named Amy Scobee and her family, has already been exposed—albeit through different people—several times before. Scobee’s personal Scientology tragedy is a lot like the stories we read in Lawrence Wright’s 2013 book Going Clear: Scientology, Hollywood, and the Prison of Belief, the Alex Gibney documentary of the same name, and Remini’s own memoir—this is because the cult has spent decades perfecting its methods of attracting and retaining its members. Scobee joined the church in her early teens, was raped by an older member who was never criminally prosecuted, and eventually signed that infamous billion-year contract with the Sea Org (referred to as the “Vatican” of Scientology) with the consent of her mother, Bonnie. We learn this story through archival photos of the Scobees and emotional interviews with all of them—from the father she abandoned for the cult (she lied to him and said she was running off to Paris to become a model), to the mother who feels like she let it happen. Regret and shame has invaded every piece of their lives, and it all stems from the mental and physical abuses of Scientology, which—like all cults—feeds on people looking for meaning. This debut may not break new ground in exposing the Scientology’s many sins—though who knows what the future episodes hold—but as penance for Remini and her decades in its clutches, it’s yet another worthy reminder that Scientology has ripped and will continue ripping people and families to shreds for as long as it, and that hideous blue building in Los Angeles, exists.